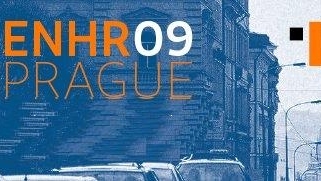 [Call for Proposals] Conference of The European Network for Housing Research, Prague, 2009. An very important call for proposals which relates to a very current and complex theme : Impacts of the new housing markets on social cohesion. The role and the « power » of housing and mortgage markets is quickly changing around the world especially by increasing influence these markets have on wider economy and sustainable development of many societies (social cohesion). While many conditions especially in economic and institutional spheres stimulate certain convergence and integrations of housing markets, many locally specific conditions namely in social and cultural areas contribute to differences and segmentations within housing markets. Unification and differentiation go hand in hand. This situation raises the following questions : do we need new paradigm to enable a better understanding of changing housing markets ? Have traditionally local housing markets become global ? Will record house price appreciations be followed by record price falls? How should we deal with the consequences of income polarization and housing market segmentation ? Deadline for submission of abstracts is 1 March 2009, and for submission of papers, 1 June 2009.